The Ishaya Foundation, a non-profit organization, opened its training center in 2009 and has been supported for many years by teachers and ascenders that value the distilled opportunity a training center has to offer. The Ishaya Foundation welcomes your efforts to join in the momentum of expanding consciousness with the ancient Art and Practice of Ascension as taught by the Ishayas and the untold benefits for ALL. As more join with us, it allows the Foundation’s efforts to grow exponentially. We are grateful for your participation. All funds will go to a variety of projects based upon the need at the time. your involvement helps in many ways. Donating to support the Ishaya Foundation means joining us, through your financial support, in raising awareness of this Ancient Teaching of Ascension. Funds received go to further support: the publishing of MSI books; and written materials that further the understanding of Ascension; Scholarships for upcoming teachers; supporting the Training Center; plus more! The TIF training center is an important part of the Teaching of Ascension. As it provides a place for people to spend time away from their busy worlds, turning inward to explore and discover their greater personal potential within; also to open awareness and expand consciousness through a Practice that offers a direct personal experience. Instruction, and proper guidance, are key to the success of one studying the "Art" of Ascension. 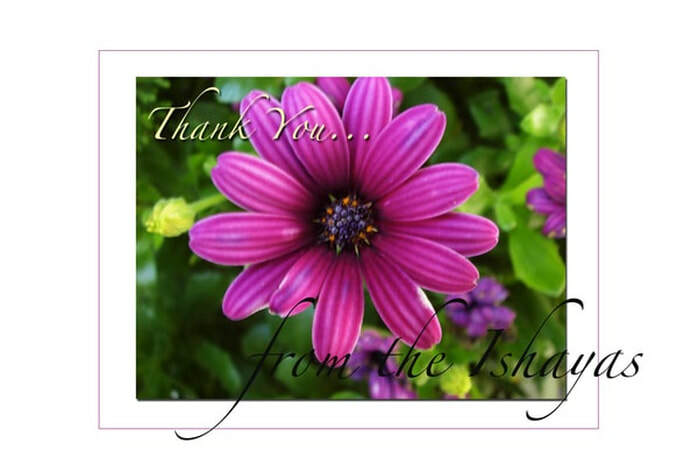 The Ishaya Foundation is a 501c3 non-profit organization. No materials or services are provided in exchange for your contributions. Please consult with your Certified Public Accountant or other Professional Tax Advisor to determine the correct treatment of these gifts in your tax return. The Ishaya Foundation rests firmly upon the shoulders of the individuals most dedicated to the expansion of consciousness in themselves and in the world. ​Unique to one time donations, a pledge is a commitment. A self determined amount, one chooses to include in their personal budget, and give to their chosen non-profit. Pledge Programs are instrumental for a non-profit to determine the base line funds 'promised or pledged' by its supporters. This Pledged fund base, allows the organization to plan for the expenses of ongoing projects that most support the service they provide. As a result of the commitment of our current Pledge Program, we are able to offer select offerings that are highly appreciated by those who participate in the events & activities, as well as those who come across the printed material we are able to produce. ​We have a number of committed pledge donors from Art of Ascension teachers to generous Ascenders worldwide. This new year, we would love to continue our commitment in sharing this Ancient Teaching with humanity. We invite you to join with us. What may seem like the smallest amount to the individual; when combined with our efforts....we extend our reach exponentially! for your support of our Training Center plus your help in getting the Teaching out into the world.